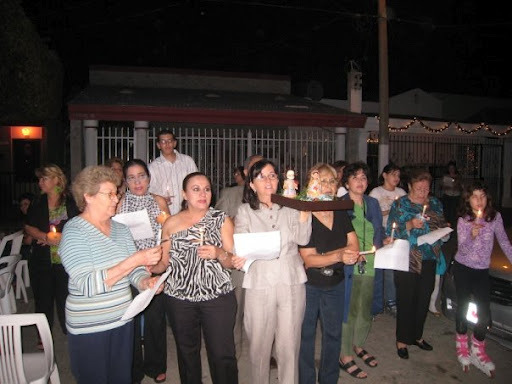 It’s posada season in Mazatlán! Everyone you talk to is a bit bleary-eyed from all the partying going on this time of year. “Posada” is a term for parties traditionally held during the nine nights just prior to Christmas: December 16 through 24. 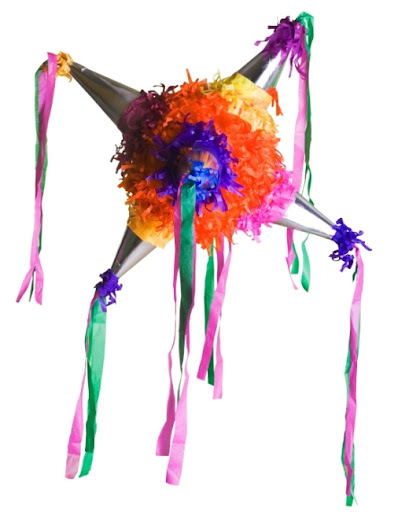 A posada can be a private party held in a family home, but it is more typically a street or block party or an end-of-the-year celebration for company employees or club members. 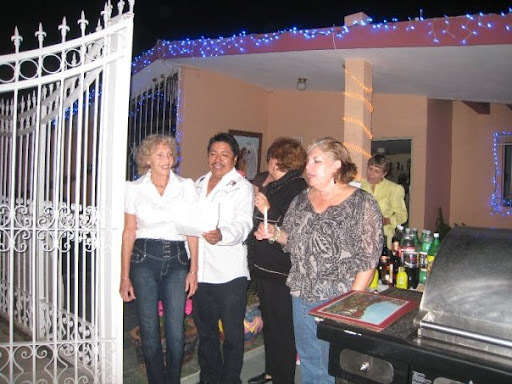 If you didn’t attend a posada last night, you no doubt heard the banda music from the party down the street, well into the early hours of the morning. The badge of honor is to be able to brag that you partied till 4:00 or 5:00 am—desvelarse or stay up till morning. Yes, even if, like me, you are nearly fifty, or if you are seventy, or older. Posadas have no age limit. because if you lose it, you will lose your way. 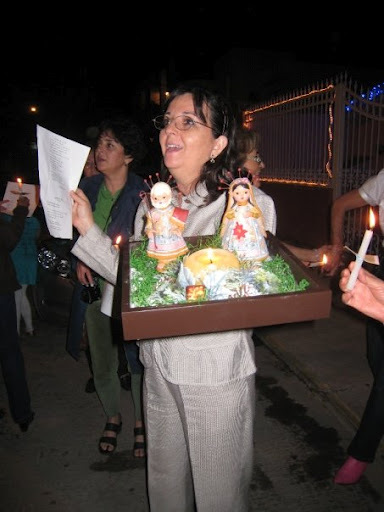 Traditionally a posada also includes a pastorela, a procession commemorating Mary and Joseph’s journey to Bethlehem for the census. As the Bible tells us, they searched everywhere for lodging and were turned away, there being no room at any inn. Sometimes a boy and a girl dress as Mary and Joseph, and Mary may even ride a burro. In some pastorelas you may see shepherds, cows, kings—it can be an entire Christmas pageant. os pido posada, pues no puede andar mi esposa amada. sigan adelante. Yo no debo abrir, no sea algún tunante. In the name of Heaven I beg you for lodging, for she cannot walk, my beloved wife. This is not an inn, so keep going. I cannot open; you may be a rogue. tennos caridad, que el Dios de los cielos te lo premiará. Ya se pueden ir y no molestar porque si me enfado os voy a apalear. The God of the heavens will reward you for it. You can go on now and don’t bother us, because if I become annoyed I’ll give you a thrashing. Venimos rendidos desde Nazaret, yo soy carpintero de nombre José. No me importa el nombre, déjenme dormir, pues que yo les digo que nos hemos de abrir. We are worn out coming from Nazareth. I am a carpenter, Joseph by name. I don’t care about your name. Let me sleep, because I already told you, we shall not open up. ¿cómo es que de noche anda tan solita? I’m asking you for lodging dear man of the house. Just for one night for the Queen of Heaven. Well, if it’s a queen who solicits it, why is it at night that she travels so alone? es Reina del Cielo y madre va a ser del Divino Verbo. She’s the Queen of Heaven and she’s going to be the mother of the Divine Word. I did not recognize you. vuestra caridad, y que os colme el cielo de felicidad. a la Viren pura, la hermosa María! May God pay, gentle folks, your charity, and thus heaven heap happiness upon you. Blessed is the house that shelters this day the pure Virgin, the beautiful Mary. for though this dwelling is poor, I offer it with all my heart. Oh, peregrina agraciada, oh, bellísima María. Yo te ofrezco el alma mía para que tengáis posada. Oh, graced pilgrim, oh, most beautiful Mary. I offer you my soul so you may have lodging. el alma doy por ellos, mi corazón también. Humble pilgrims, Jesus, Mary and Joseph, I give my soul for them and my heart as well. que Jesús, José y María nos vinieron a honrar. that Jesus, Joseph and Mary honor us by having come. To conclude the pastorela the guests often sing “Ave María” and perhaps “El Rorro” (Babe in Arms). 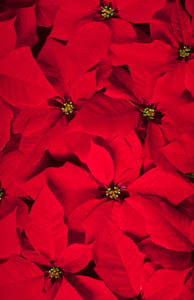 Poinsettias are native to México, and their name in Spanish means “Flowers of the Holy Night.” Its name in English comes from the last name of the American man who popularized the shrub. 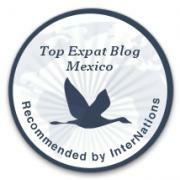 It is a very typical Christmas gift as well as a decoration here in Mexico. There is an interesting legend surrounding the poinsettia. A young child, Pepita (the child is variously a boy or a girl and with varying names depending on the storyteller), is heading to church on Christmas Eve. Pepita’s heart is filled with sadness; she very much wants to give the Christ Child a gift, but she is poor and has nothing to give. The child’s cousin, Pedro (or variously her mother, friend, or brother, again depending on the storyteller), tells Pepita that even the most humble gift when given in love will make Jesus happy. Pepita kneels down by the side of the road, her heart full of love, and gathers a bouquet of weeds. When Pepita places her weed bouquet beside the baby Jesus in the church, miraculously the weeds burst into blooms with bright red, star-shaped petals and brilliant yellow centers.